Want to be notified of new releases in OpenDroneMap/CloudODM? 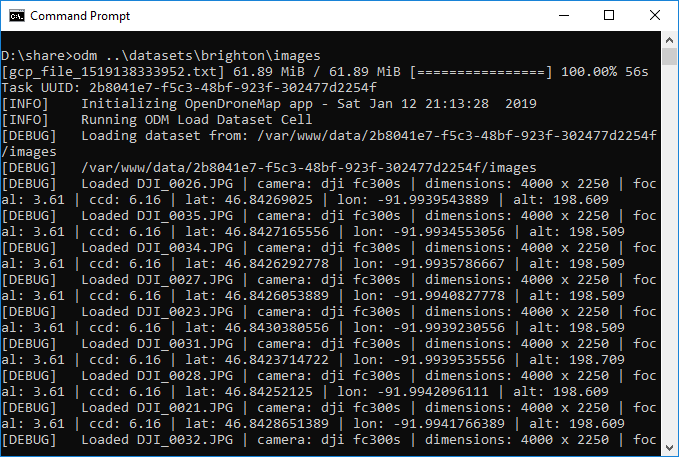 A command line tool to process aerial imagery in the cloud via NodeODM's API. Download the application for Windows, Mac or Linux. Extract the application in a folder of your choice (for example, c:\odm). Open a command prompt and navigate to the folder (open the "Command Prompt" application, then cd \odm). See odm --help for more options. To include a GCP for additional georeferencing accuracy, simply create a .txt file according to the Ground Control Points format specification and place it along with the images. For more information run odm node --help. If you are interested in adding your node to the list of public nodes please open an issue.